Nokia 3310 (2017) comes in four colour variants—Warm Red, Yellow, both with a gloss finish, and matte finished Dark Blue and Grey. 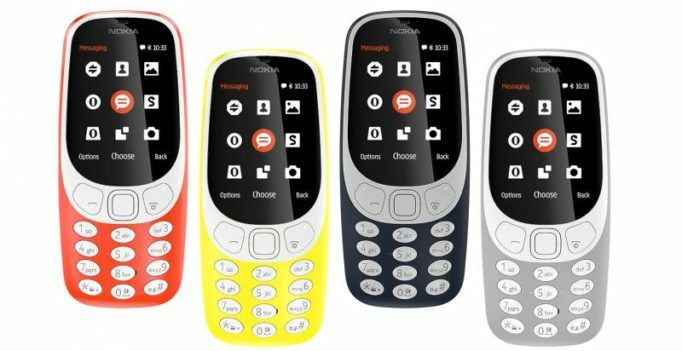 The Nokia 3310, which was reportedly slated to arrive in Indian market by the end of June, has been spotted online to be available for pre-orders from May 5. 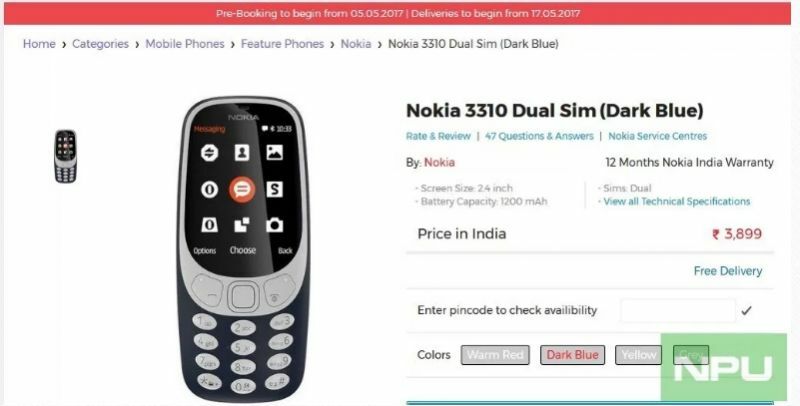 A pre-order listing spotted by NokiaPowerUser on OnlyMobile, the Nokia 3310 (2017) will be available for orders from May 5 at a price of Rs 3,899. According to the report, the online retail store claims that deliveries for the revamped version of Nokia 3310 will begin on May 17 in the country. To recall, the new 3310 qualifies as a “feature phone.” Unlike the smartphone which is capable of providing 3G/4G connectivity, Nokia 3310 relies on 2.5G connectivity and runs on S30+ operating system, which allows web browsing in its 2.4-inch display screen. HDM claims the coloured-screen phone has month long stand-by and can deliver 22 hours of talk-time, ten times more than the original. The new Nokia 3310 also sports a 2MP rear camera and comes pre-installed with a new the modern version of the classic “Snake” game. The phone comes in four colour variants—Warm Red, Yellow, both with a gloss finish, and matte finished Dark Blue and Grey.